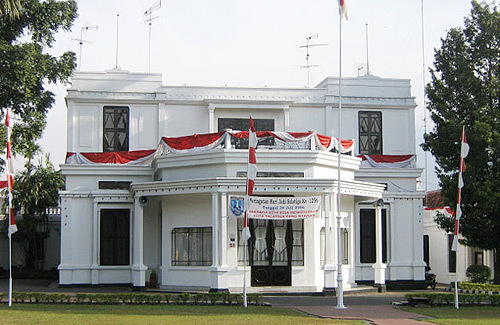 Salatiga is located about 40 km south of Semarang to Solo under Merbabu Mountain. is a small city in Central Java. A city of students and retirement, it has been known since the Dutch occupation era to be a city of relaxation because of its cool relaxing temperature. About 40% of its 150,000 residences are students of three private universities in the city. This 600 m medium sized provincial town, lying on the slope of Merbabu has a hill station feel. The Satyawacana University is in the City. Near by the city, Rawapening tranquil lake with beautiful scenery is a popular picnic spot. is a hidden town. It must have been desperation for its citizens: always shadowed by the immensity of its surroundings, but never had the chance to be alike. Yet in hiding, away from the ignorant eyes of the world, beauty blooms here. It blooms in silence, and never asks for attention.